Excellent opportunity with CSS Corp for Freshers. If interested please Walk-in to the below address on 15-Feb-19 (Friday). Looking for B.E/B.Tech, M.E/M.tech, MCA, M.Sc Fresher. We are looking for Freshers to this position. We have openings for one of our MNC. Please refer the below Job description and revert back to us with the updated resume. Design analyzes, develop, code, test, debug and document programming to satisfy business requirements. We have the urgent requirement for the profile of Software Engineer. Salary: range varies from 4 Lakhs to 8 Lakhs based on your various online test score and evaluation. Good understanding of complete Software Test life cycle for software in real time embedded control, communication and information systems. Should able to understand system/software requirements for software testing. Create Test specification from requirements, execute testing and create test reports. Experience for creating test case as per standard Test case design techniques. Experience of integration & rig-based functional testing involving both software only and software/hardware integration configurations. Knowledge of simulation test environments. Good understating of real-time system, data communication e.g. serial RS232/485 and TCP/IP. IBM Rational tool like DOORS, ClearCase/ClearQuest or similar Requirements management tool knowledge. Cyient Ltd, Door no:602, 6th floor, Zero One, Survey 79, Hissa No:1, Mundhwa, Pune – 411036, India. Land Mark: Above Passport Office. Urgent hiring for Freshers in Testing team. To be hired for 6 months and later absorbed based upon the performance. Primary responsibility is writing tests for functional and regression testing against web APIs. We strive to produce useful, effective, and thorough automated tests, conforming to the team style guide. Our tests will have a long lifespan, so they must be easy for others to read and maintain. Experience with Web Automation tools such as Selenium/Raft/ etc. Experience testing and automating APIs, UIs, and Native Applications. Experience working in small to medium teams with lean methodologies. Strong verbal and written communication 1 year gray box QA. Knowledge of Windows, Linux, iOS and OS X. 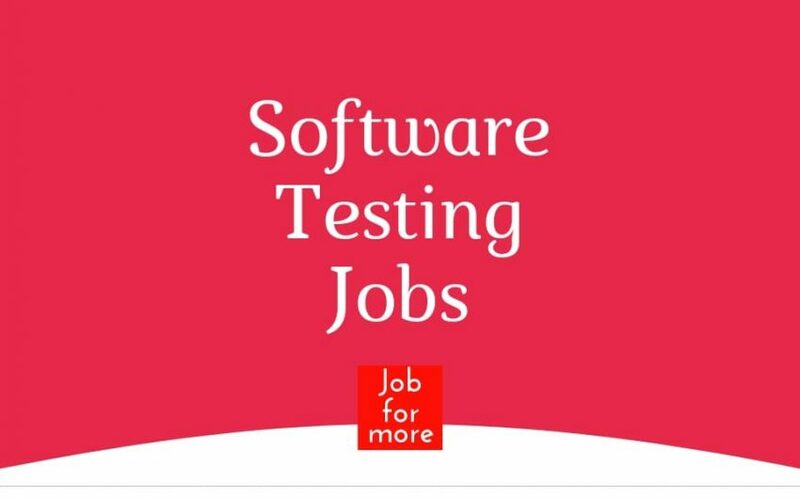 A Software Development Engineer in Test (SDET) at Amazon is a developer with the primary responsibility of writing frameworks and tools to test products. It is a very unique and challenging role and provides immense opportunity to design and develop wide-reaching tools. It combines the “building” aspect of software design engineering with the “breaking” aspect of software test engineering. BS degree in Computer Science or equivalent from a reputed institution. 3+ years of core development experience as a Software Engineer. Test framework design and automation experience. Understanding of QA methodologies, life cycle, and processes. Orion building, GF, 8th, 9th ,10th & 11th Floor, Bagmane Constellation Business Park, K.R. Puram-, Marathalli Ring Road, Mahadevpura, Bangalore. The role will focus on working with a team of data engineers, business and tech-savvy professionals to lay down scalable data architecture to ingest large amounts of structured and unstructured data sets and work with stakeholders to drive business decisions based on these datasets. Your opportunity is to apply technical abilities to work on solutions that have high visibility within the ad products organization. Bachelor’s degree in Math/Statistics/Engineering or other equivalent quantitative disciplines. 4+ years in relevant experience as a data engineer, data scientist, software engineer, business intelligence engineer, or equivalent. Experience data modeling and transformation of large scale data sources using SQL, Hadoop, Spark, Hive, EMR, or other Big Data technologies. Knowledge of scripting for automation (e.g. Python, Perl, Ruby). Strong active listener with solid written and verbal communication skills. Media and advertising domain expertise. Advanced knowledge of Oracle BI tools, MySQL, Linux/UNIX. Experience with AWS solutions such as EC2, DynamoDB, S3, and Redshift. The candidate is required to understand the requirements and design of a submodule/ feature and its working. The candidate should be able to code and perform Unit testing on his/her own module. The candidate should be able to collaborate with other teams and deliver. The candidate should be able to able to understand the test environment, perform SSI. The candidate should be able to debug and resolve issues. Very good experience in C and data structures. Good understanding of Operating System concepts. Managing the development lifecycle of automation systems, from planning to deployment. Scoping and prioritizing development activities based on business impact. Deep skilled Java developer with hands-on coding experience who can Write well designed, testable, efficient cod5. Good hands on experience with Core JAVA, Multi-threading and Algorithm. Responsible for developing and sustaining high-quality software for our laboratory devices and their environment. A bachelors degree in electrical or software engineering. Experience in creating object-oriented design patterns (UML) for complex device control. Programming skills in C++ for Linux multitasking operating systems in the area of embedded systems with focus on.Device-/Application-/GUI-Layer development. Experience in Developing Linux Board Support Package, Device Driver, Kernel Configuration/Modification & Building, Bootloader, File System. Experience in building custom Linux Image using Yocto Build System is the must. Basic knowledge of the Qt-Framework. Experience in the area of agile software development (Scrum). Experience in working with MS-Office. Participate in gherkin script writing along with the functional team. Create Automation code using Java, Selenium, JQuery, and Cucumber. Graduate with a software engineering background. Hands on Experience in JIRA and Agile methodology. Relevant years of experience in software Automation testing. We are hiring for JAVA Developers with experience to JUnit testing. The first round of interview will be telephonic on 14th Feb/16th Feb.
Clover Infotech Pvt Ltd is currently hiring candidates with minimum 3 months – 1 year IT experience. Candidate will go through Tele Interview first.If shortlisted, should be available for F2F Interview in Mumbai/Pune. ECI Telecom India Pvt Ltd is hiring R&D Software Engineer. Knowledge of Embedded systems is an added advantage. We have immediate openings for Java with Python for one of our client company. Future Focus Infotech (Pvt) Ltd. Detailed design and development of assigned platform development areas independently. Skilled senior .NET C# developer who can do detailed design and development of assigned platform development areas independently. Web application development and Infrastructure on a cloud. API Gateways, Docker, Design patterns. Experience on any Process automation/Integration IT Projects Ability to talk to the client and get the Business Requirements. Good understanding of software development life cycle process Basics of Database – SQL Server 2012 Experience in working with cross-functional teams across multiple time zone. Good Communication skills- Written and Verbal 2 Years of IT experience. Maveric Systems Limited is hiring Mobile Developer in Bangalore. Bachelors degree in computer science, computer engineering, or related field. 2 to 4 years of professional programming experience. Eye for the great product and UX design. You write clean, maintainable code and understand the value of automated tests. Experience integrating with third-party APIs, comfortable working against an internal REST API. 2 TO 4 Years of iOS dev experience. Very strong dev skills in Objective C, iOS SDK, & good general programming and algorithm skills. Eye for design aesthetic and appreciation of human-centered design. Values clean and maintainable code with extensive test coverage. Experience with RESTful APIs (JSON/XML) to connect. iOS/Android/mobile web applications to back-end services. Familiarity with AWS (Amazon Web Services). following Apple’s design principles and guidelines. Proficient understanding of code versioning tools such as GitHub, Mercurial or SVN. Familiarity with continuous integration tools. Experience with technologies e.g. PHP, Java, Unix, MS technologies are preferable. Sysbiz is looking for a Big Data Developer to contribute for the Data Engineering team. Big Data Developer will be engaging from the data flow design for Data Management on Hadoop platforms. Also, by working closely on the automation of jobs through different frameworks. 3+ years experience in Hadoop ecosystem. Hands on experience on Spark, Hortonworks Hadoop or Cloudera Hadoop, Hive, Pig, Sqoop, Flume, Oozie. Hands on experience on Apache NiFi. Experience on APIs like REST/JSON or XML/SOAP, Java ecosystem including debugging and monitoring tools. Strong experience implementing software and/or solutions in the enterprise Linux or Unix environment.